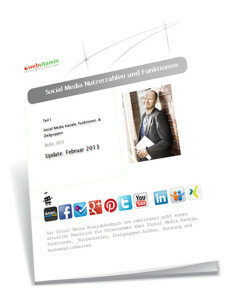 B2B LinkedIn marketing is the perfect social media solution for professionals and companies looking to expand the market of their products and services into Germany and discover new B2B customers. Along with Twitter, it is also the go to platform of choice for companies operating in European markets. LinkedIn works from grouping together all types of privately employed individuals, to influencers and professional businesses. The social network serves to bridge the communication gap between different parties into different products, among them are company and product pages, job postings and discussion groups. LinkedIn can allow companies to post available job descriptions, measure what type of user is following their activity and create discussion groups and questions around topics of interest. Companies and users with similar interests in products, brands and discussions can like, share and follow each other’s posts. LinkedIn works in the same format as many other social media platforms, with timelines, profile pages and the opportunity to post status updates with various content within. However, the main point of interest companies have with LinkedIn is that of productivity. 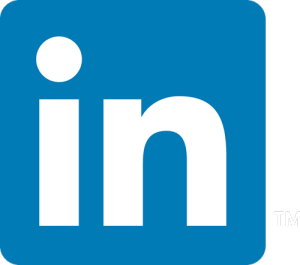 Whereas more in-formal networks such as Facebook serve both for personal and professional use, LinkedIn is exclusively designed for business, making this professional networking platform perfect for B2B opportunities. B2B LinkedIn opportunity also offers an advertising network across its social networking portal. Companies can target other B2B LinkedIn customers much in the same style as Facebook Ads. Once a B2B LinkedIn company page has been set up, companies can then start to engage customers through product pages and discussions to attract industry leaders and enthusiasts. Employees can join their company to their profile, which then can lead to zero effort company reach to potential users of interests as employees grow their personal connections. Additionally, company pages are a great way to showcase your employees competences, products and engage with connections in discussions. LinkedIn is even a go-to platform for job postings and product promotions. Setting up and managing the B2B LinkedIn company page, its products and discussions has to be handled with care. After all, the entire company is being represented along with its employees and assets. LinkedIn is also the perfect way to showcase a company culture and can instantly show employees and B2B potential customers how social your business is. Authenticity is an important aspect, make sure to invite customers and connections to endorse and recommend your products and services. Buzz around your company’s B2B LinkedIn page can be spread through targeted display ads and through adding a follow button to website or blog. SlideShare can be further introduced into the social media strategy, once integrated into the B2B LinkedIn profile, will serve to differentiate you business from other B2B suppliers of products and services. Full information on how SlideShare can be used to generate lead sales is included in a separate section dedicated to SlideShare. Furthermore, Twitter can be used to share important news and announcements to the different group of followers that the company may generate there. Fine tuning and optimisation is attainable through LinkedIn through the transparency of analytics. We can guide your company page on where to go with the analytical data and to run further campaigns targeting B2B customers in Germany through LinkedIn as a part of your social media strategy. Overall, we’re able to offer company LinkedIn profile page set up and management to keep it alive and breathing. Additional services include potentially exclusive content creating through SlideShare, which is heavily linked to LinkedIn, and that of sharing industry, product or lifestyle relevant news over LinkedIn to keep fans engaged.